If you believe that the term "teleportation" is a term of fantastic literature, then you are mistaken. There is a scientific definition of teleportation in a psychology. It is a seeming lengthening of organs of sense up to the distance which equals the length of communication line. For example, there is the illusion during hearing of 3D-sound with headphones: it seems to you that you are hearing of the sounds by your own ears at other place or at the same place but in the past. It is your visit through the time and the distance. Of course, an usual television is some teleportation... But only the 3D-television is the real teleportation. 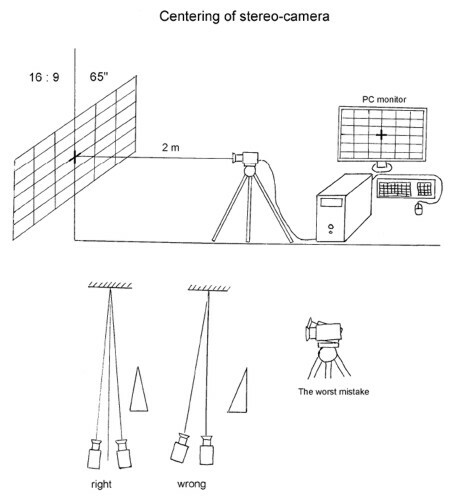 That is why the device for recording of 3D-sound and 3D-image is named the "Teleport-1M". How to record 3D-sound truly "surrounding" is explained there: "Your 3D-sound studio". Have you read it? Well, we have a 3D-sound already. Let's go further! What is a 3D-image? How to record a 3D-image rightly? How to view it rightly? Only a stereoscopic image is the real 3D. What is a stereoscopic image? It is the image that like the real object. During observing of real object by two eyes a man sees through each of them only the 2D-image. The brain of the man creates the 3D-image inside. That is why it is necessary to have two pictures of object shot at two points of view (left and right ones) synchronously in order to see a 3D-image. The 3D-image is not existing in the real life, there is only a pair of pictures there that is named a "stereo-pair". Both the pictures look like, there is only a small difference between them but it is very important for creating of 3D-image. As you have known, an usual movie is a chain of usual pictures. A stereo-movie is a chain of stereo-pairs: the left eye sees only the left picture of stereo-pair and the right eye sees only the right picture of the stereo-pair at the same time. How to view two pictures on a single screen synchronously without mixing of the pictures? As a rule, they apply various types of special glasses. I shall speak about it some below. Now I am speaking about a stereoscopic image in general. At certain conditions of shooting and projecting it seems the real object. What are these conditions? What is it? It is the shooting in a scale of 1:1 that gives the picture with the size that equals the size of the real object. The proportional shooting is the single method only that is right in case of stereoscopic shooting. Agreeably, the proportional projection is the single method of projection that is right in that case. The proportional projecting increases the picture of object in size as the same times as shooting decreases it. It is an united process of shooting/projecting. As a result, you will see the 3D-image as real as the real object is. Usually, a viewer is located at a distance of 2 metres (or some more) from a TV-set. Let's put 2 metres as a distance for viewing. Agreeably, a stereocamera must be adjusted for shooting at the distance of 2 metres. What a screen you are going to shoot for? What is its size? On this screen all objects will be to have its natural sizes. You understand?.. The screen must be large: 50"-70" (16:9 aspect ratio). What is a distance between eyes of man? The distance is 65 mm. Agreeably, a distance between optical axes of cameras must be 65 mm. What the angle of convergence of eyes during viewing a picture on a screen that is located at a distance of 2 metres? It is the small number but it is very important. The angle of convergence of cameras must be the same. This angle must be fixed. Don't change it! 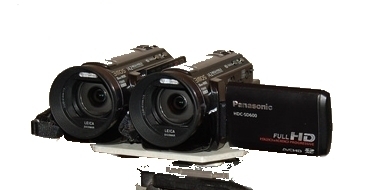 A matrix of recording camera is a mirror for objects that are located in front of it. This "mirror" must be right, not curved. The picture will not be like the object if "the mirror" is elastic and transforming. This "mirror" must be static for convenient observing of object. Agreeably, a stereocamera is "a 3D mirror" and its parameters must be static. About the angle of convergence and the distance between optical axes of cameras I have spoken above. Now I am speaking about additional parameters. Have you any practical experience of making of usual photos or videos? Do you know about a lens iris, an exposure, a focal length of lenses, etc? All parameters of shooting are fixed. Don't change them! Change only an exposure in order to influence upon the quality of pictures. The exposure number must be some less than 1/30 second. At conditions of low illuminance you will have to turn on halogen lamps. And vice versa: at conditions of too bright light I recommend to apply a neutral-density filter. Don't forget: the exposure number must be the same for both cameras! I recommend to make the focusing of lenses of cameras for the distance of 2 metres and the focal ratio 8.0 in order to get a big depth resolution. About a focal distance of lenses and centering of cameras at a bar I shall speak later. It is the difficult process for a beginner... A rightly adjusted stereocamera don't requires any additional post-production. That is why it is an important process. "3D Cinema" LG TV-set + Polarized glasses. I would like to speak on the subject some more. It is necessary to determine a concept of the channel before starting. It must be a channel of technical trick. The 3D-effect first of all! In my opinion, 3D advertising reels (with digital effects) will be attract people particularly. People will be waiting this reels, customers will be satisfied. But this trick must be made rightly. That is why it will be useful to read my words for specialists too that work with 3D Studio Max. A monoblock (for beginners). It is easy to use. 3d rigs (for advanced users). It is not easy to use but you can make a 3d content that is about a professional quality. A monoblock (for professionals) You can make a professional quality of 3d content if you understand a stereo technology. Further, I use the SMM in order to cut the video and to produce an over/under picture (or any other 3D standard) from it. You will need some software also for film editing. I recommend the Adobe Premier Pro as the most convenient software. It allows to use a clapperboard during of independent recording of sound and to unite it with video. Also I recommend the VirtualDub for advanced users (it is free). There is a moment in planning of 3D scene. 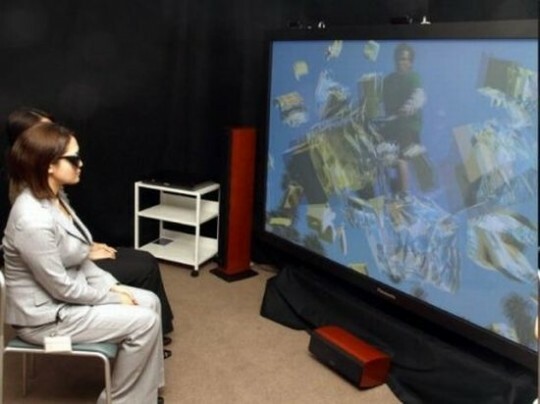 An object will appear in front of TV screen if the object is located at a distance of 2 metres and nearer to the "Teleport-1M" during shooting. NOTE: You must hold this object framed as a whole. I recommend to shoot the objects that are located at the distance of 1 - 6 metres (i.e. nearly), not mountains at a long distance. You will shoot the most effective episodes in this case. The right centering of cameras is a very important moment. There is an opinion about the possibility to correct mistakes that are made while shooting of 3D image in post-production there. This opinion is wrong. If centering of cameras is bad, then it will be impossible to shoot a high quality 3D image. 1. Please, place the tripod at a distance of 7' (2 meters) from the wall. 2. Draw a rectangle that has 16:9 aspect ratio and 65" diagonal. Mark the rectangle by thick lines (draw a grid) and mark the center. 3. Change the height of tripod until the mark of center is located at the same height that an optical axis of lens is. 4. Turn on the mode of anaglyph preview. 5. It is necessary to achieve equal sizes of output pictures from both cameras on the screen of PC monitor. Combine the pictures exactly. Remember: You must do it carefully and accurately. What focal distance of lens must be for proportional shooting? There is a formula to calculate it there. It is: f = L/K, where letter L signifies the distance from the camera to a plane of footlights, and letter K signifies an enlargement coefficient. K = As/Am, where As signifies a size of screen, and Am signifies a size of sensor of camera. You can see that K depends from a size of sensor. Thus, K = 65 for 65" screen and 1" sensor. L = 2 meters (7'), i.e. 2 000 mm. Thus, f = 2 000/65 = 30 mm. 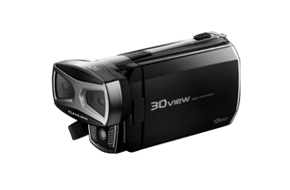 Now the 3D-technology gives new possibilities for filmmakers. I wish good luck to you in your film creation! Create your masterpiece and become an intellectual winner!